This hardy perennial has been the most widely used medicinal herb of the plains. Interesting and compelling flowers with light pink to pale purple petals surrounding a dark brown spiked central cone, crown sturdy stalks. Native Purple Coneflower, Echinacea angustifolia is a hardy perennial that has been the most widely used medicinal herb of the plains. Interesting and compelling flowers with light pink to pale purple petals surrounding a dark brown spiked central cone, crown sturdy stalks. These seeds germinate best if planted in the late fall or early winter since they require a period of cold conditioning or cold stratification to germinate. For spring planting. place seed in plastic bag with moist peat moss in the refrigerator up to three months before planting. Late summer bloomers such as Native Purple Coneflower are tough plants. They are usually found at the edges of the forests and woodlands and in wide open areas in order to get the amount of sun they need since the overhead leaf canopy now shades the floor of forests and woodlands. The exposure to sun and wind has influenced their development. Sturdy stems and thin leaves resist the drying effects of the sun and wind and they are usually deeply rooted. The majority of these late bloomers are from the composite family (Asteraceae) with showy daisy-like flowers such as sunflowers, asters and coneflowers. Purple coneflowers (Echinacea) are among these tough species that we see in the late summer as well as Prairie Coneflowers (Ratibida) and Black-eyed-Susan’s (Rudbeckia). Echinacea purpurea or Eastern Coneflower and E. angustifolia, Native Purple Coneflower are commonly recognized in the field and home garden. Also known as snakeroot, Kansas snakeroot, scurvy root, Indian head, comb flower, black susans and hedge-hog, they have been used throughout history for herbal remedies and still are today, although their effectiveness in often debated. 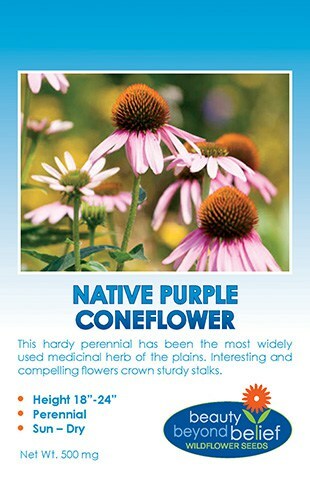 Purple coneflower has been used to treat the common cold and flu, for toothaches, sore throats, snake bite and is thought to be an immune system booster. 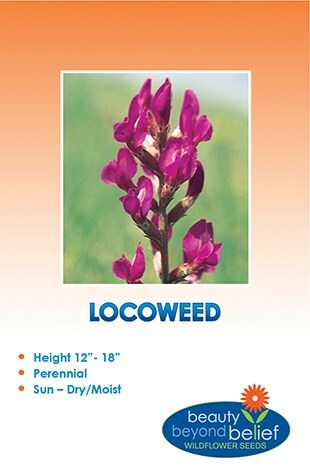 These are commonly grown in gardens for the showy flowers and used in wildflower mixes and prairie restoration. Many improved and ornamental varieties have been developed with a wide spectrum of bloom colors. Coneflowers attract pollinating insects like honeybees and butterflies when in bloom and songbirds, especially goldfinches, to the seed. The perennial herb is 1- 3 ft. tall with a tough, thick rhizome. The rough stems have small hairs. The flower has center disc florets that form a dark brown to maroon ‘cone’ shape surrounded by purple, or sometimes pinkish ray florets. The name Echinacea is from the Greek word for hedge hog, echinos, which describes the spiky appearance of the center cone. Coneflowers are fairly easy to germinate, however they may take several years to become established. The seeds can be directly seeded or started in flats for transplanting later. Either way, a period of cold stratification is believed to improve germination. Plant outside in the late fall or very early spring or store in moist conditions in the refrigerator for 2 months before planting.